There are a wide range of weekend workshops held at The Loft throughout the year. Keep your eye on this page to see what is going on in our wonderful, bright studio space. Or even better, why not sign up to our newsletter and we will let you know what’s coming up on a regular basis. The Loft is an ideal venue, centrally located in Brighton’s North Laine area easily accessible on foot, by car or public transport. See the map and address at the bottom of the page. Looking to Hire a Venue for a workshop? Are you an instructor looking for a venue? Our wonderful studio space is ideal for running workshops in Brighton. Whether it’s a half day, full day or entire weekend contact us so that we can check availability for you. Family Constellations, a relatively new approach to personal development, offers profound insight and opportunities for transformation in a safe and supportive group environment. Systemic entanglements with our family history and members are revealed and resolved with compassion and simplicity. John Harris is an experienced coach and therapist who facilitates internationally and resides in East Sussex. The cost for bringing an issue to be constellated is £75 or attend as a resource for the purpose of learning and supporting others for £35. Sonic transformations for mind, body and spirit with Gordon Coxon. Gordon's delighted to be returning to Brighton after many months away – and to a brilliant new venue! 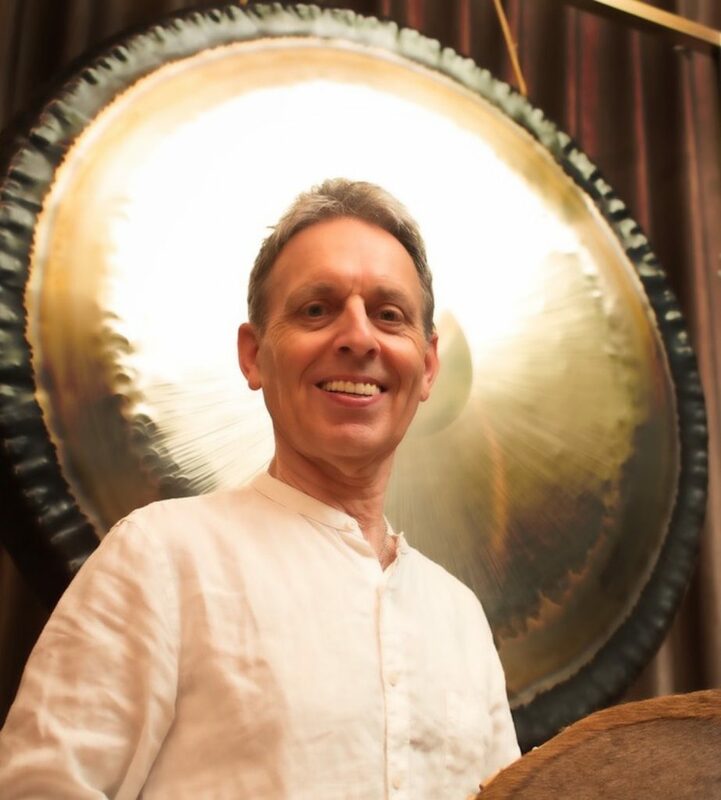 Join us for an hour-long deeply immersive yet relaxing sound journey into inner space featuring Gordon's extensive collection of gongs and other sound immersion instruments. Please arrive by 7pm for a 7.15pm start. or email gcoxon@talk21.com to reserve your space and pay on the door on the night. There's plenty of yoga mats but you might like to bring a cushion plus blanket or some such for your greater comfort. Cat & Phil, co-founders of Sangyé Yoga School. 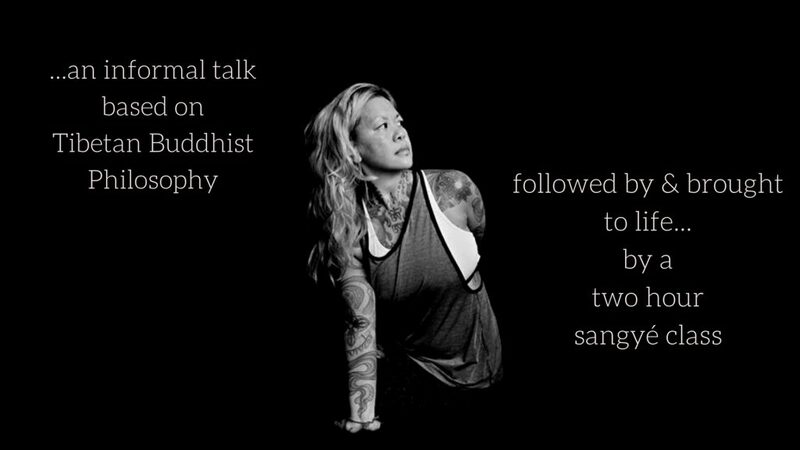 Join us for tea & an informal talk based on Tibetan Buddhist Philosophy. The practice is in the application. A Delicious Day Of Body & Soul Tapas To Restore And Inspire You. 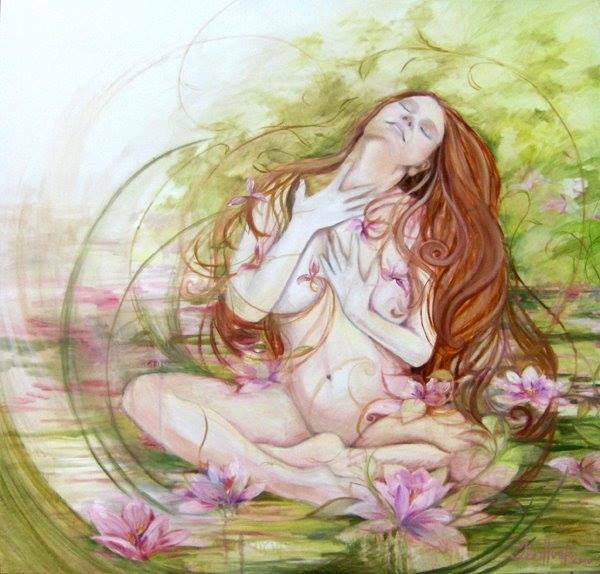 Imagine a day designed just to love your body, pamper your soul and re-ignite the flames of your creative spark. A day to deeply listen to your body’s needs and desires. Chakra dance with Jess Hillard. Your Raw Chocolate Prescription in a Cake with Aradhana Kaur. Stepping stones to you with Michelle Roberton. Inviting intimacy with Hanna Angell. Be held in love with Helen Thatcher. Early bird until April the 9th £85. Thereafter £95. A fluid, creative, inspiring and dynamic vinyasa practice influenced by the Elements. Connecting to the elements that inform your daily life enables you to experience a well-versed stability to flow through the day with embodied ease and integrated awareness of the inner and outer worlds you interact with. This progressive practice will leave you feeling uplifted, connected and empowered with the knowledge and teachings of each Element that can be easily translated on and off the yoga mat. You will experience the Elemental Vinyasa Prana Vinyasa namaskars (salutations) to invoke the alchemy of each element and their relationship to the Chakras, incorporating specific mudras for circulating energy, creative and intelligent sequencing for all levels, a guided meditation, balancing pranayama (breathing technique) and a healing shavasana.